Last week I visited the Peggy Guggenheim Collection in Venice and found myself weeping in front of a painting by Paul Klee. Thirty years have elapsed since I was a summer intern in this museum, housed in a private palazzo on the Grand Canal, acquired by Peggy Guggenheim (1898-1979) in 1949. 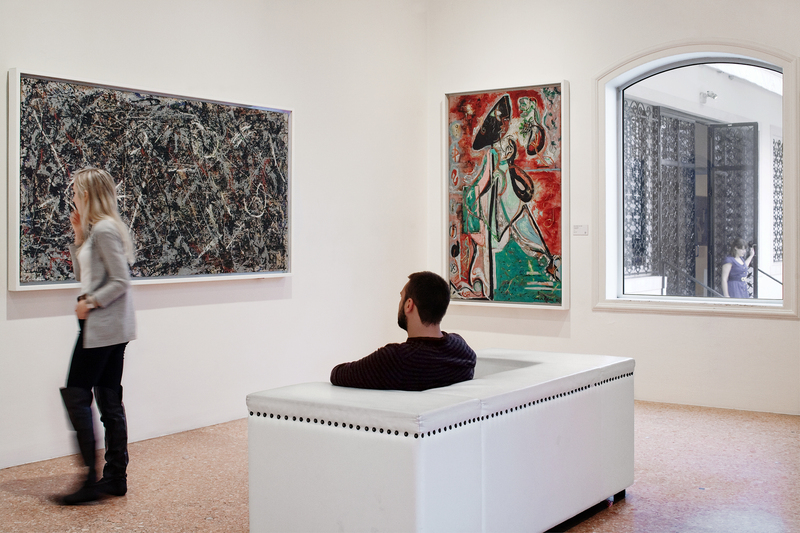 Peggy, Solomon's niece, eventually bequeathed the collection to the Solomon R. Guggenheim Foundation, stipulating that it remain in Venice and be open to the public. Her extraordinary collection includes works by Picasso, Braque, Pollock, Miro, Gorky, Brancusi, Klee, Kandinsky, Malevich, Chagall, Mondrian and many others. My husband and I were celebrating our anniversary in Italy and I had a day in Venice to show him this magical place that swept me off my 20-year-old feet. We enter through the garden; it is so familiar, it hurts. With a weird kind of reverence that surprises me, I approach the sculptures by Giacometti, Ernst, Brancusi and others. I recall Franco, the local guard on duty that summer of 1984, who teased and flirted mercilessly with the female interns. The interns, many of us working towards Bachelors or Masters degrees in Art History, were privileged beyond our knowing then, as the current crop of interns probably is today. Now, at age 50 and returning for the first time since those heady summer days so long ago, I grasp the import, the blessing of having spent two months among some of the greatest artworks of the 20th century. 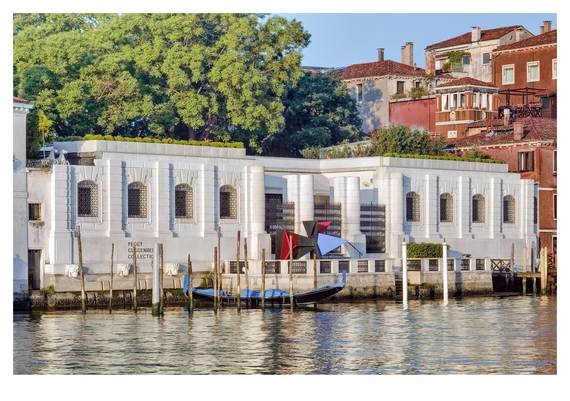 Before visiting the galleries, we head to the roof terrace, which hugs the edge of the Grand Canal. Presiding over the terrace as icon of this collection is The Angel of the City (1948) a Marino Marini bronze sculpture of a boy on horse, both outstretched towards the canal. I enjoy the sights, smells and sounds, which conjure memories buried for so many years. The caw of the seagulls, the chugging of the vaporettos motoring by, the serenading gondoliers and the jewel-like sunlight on the palazzi across the canal all echo in memory, while also creating fresh, 21st-century impressions. In Proustian fashion, the sensations on the roof terrace elicit memories of my younger self. During that summer, the culmination of my junior year abroad studying in Paris and Florence, my independence burgeoned. I gained confidence in my language skills, made Italian friends and became familiar with the art and architecture. I could trill my Rs and use slang, and I became increasingly comfortable navigating the curved streets and dozens of bridges across the canals that define this city. As interns, our responsibilities ranged from the mundane -- guarding galleries, checking bags, selling tickets and postcards -- to attending talks in the rooms under the galleries with then director Philip Rylands. Lectures about Cubism, Surrealism and Abstract Expressionism were rounded out by talks on the practicalities of art handling and conservation. We learned marvelous things about Peggy, her generous patronage of the arts and her absolute devotion to collecting work by her contemporaries, many whom became her friends, some her lovers. I would unconsciously take this knowledge with me into my career in the art world, working just out of graduate school at the Morgan Library & Museum and continuing today as an art dealer in New York City, where I run a contemporary art gallery. I didn't anticipate it three decades ago, but now I know that something big happened to me that summer. Sixty intimate days in such close proximity to some of the greatest art of the last century will do that. The paintings, drawings and sculptures became a part of me, imprinted not only on my eye as familiar shapes and colors, but etched on my intellect and soul. I left Venice for 30 years, made a life, a family and a career. But the experience in that palazzo stayed with me, and it all came gushing forth that day. We leave the blinding sunlight of the roof terrace and return inside. I stand in front of Picasso's On the Beach (1937), hanging on what I remember to be the same wall so many years ago. I am stunned that this painting, with its voluptuous bathers, strong horizon and intense blue sea, evokes exactly the sensation of wind and sea air that it did in 1984. I move to the room with the many works by Ernst and Magritte. How many hours did I spend as guard in this gallery with the mystery of Magritte's Empire of Light (1953-54) washing over me? Did it depict night or day, or both, with its nocturnal street scene capped by a sunny, cloud-filled sky? Is it sad, mystical? I still wonder. I leave the gallery that was Peggy's bedroom, still replete with her silver headboard by Calder, past an untitled oil (ca. 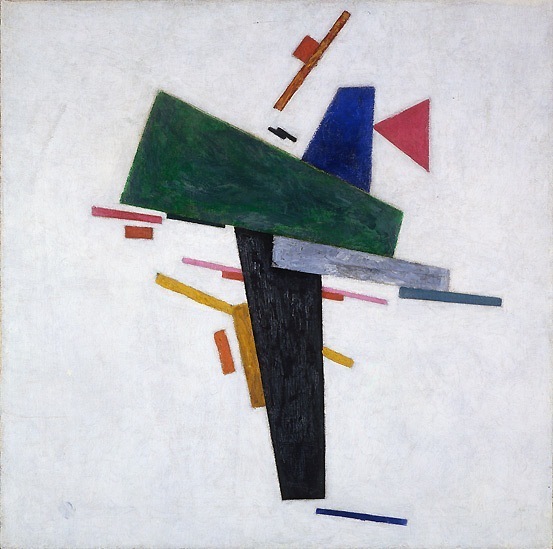 1916) on canvas by Malevich, rendered with such consummate harmony of color and form as to make the heart sing, and am suddenly overwhelmed in front of Klee's Portrait of Frau P. in the South (1924). This small work on paper, in rosy orange hues, shows a young woman unsmiling, but not sad, perhaps a bit forlorn. She is inquisitive, serious and pensive. 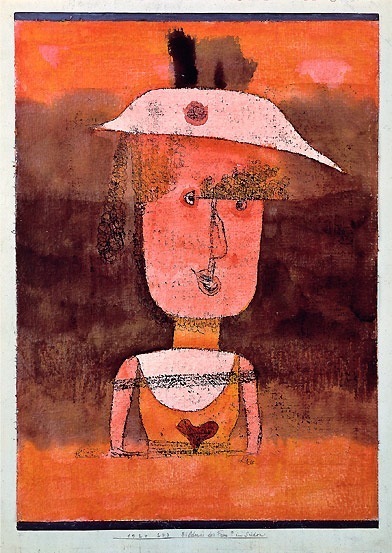 The red heart drawn somewhat naively on her chest always caught me off guard when I would walk by this painting. Back then she reminded me of me, a girl who wore her heart on her sleeve and had a hard time containing emotions. And suddenly, I find myself crying in front of her. I'm overcome, but I don't know why. It is not sadness, but the strongest and strangest sense of nostalgia I have ever known, as if I am with my 20-year-old self. I feel she is there beside me because pieces of my heart and soul from that summer have returned and are blazing within. On the way out I share with the adorable interns at the ticket counter that I was an intern so many years ago. I am trying hard not to sound like a crazy, middle-aged lady, forewarning the youngsters to enjoy every moment because it is fleeting. But it is not fleeting, as I discover on that beautiful day in Venice. The moments will stay with them. Have a great summer, I say to the girls. And don't wait 30 years to return.